Wedding templates are based on the specific designs inspired by love and with pleasant color selections. These templates are appropriate when a specific wedding ceremony should be presented online. 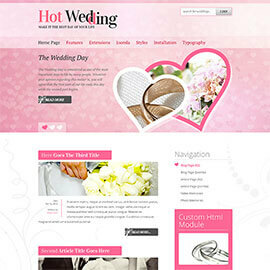 Wedding templates are also a good choice for development of websites for businesses from the wedding industry.